"60 Over 60: A Wise Collection of Portraits"
Check out my newest book at Blurb.com! The link to place orders below. Thank you everyone that made this collection of portraits and wisdom possible! 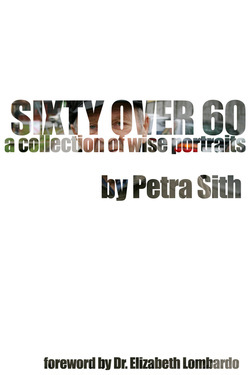 "Sixty Over 60: A Collection of Wise Portraits" is copyright Petra Sith and www.petrasith.com, 2015. Click to Email for more Info!